The new 2019 Renault Alaskan finally coming soon. 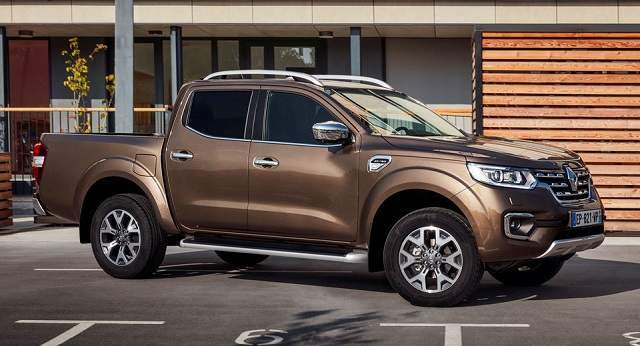 New Alaskan is nothing more than the Nissan Navara with the Renault sign, from which it took over the chassis, aggregate, interior and multi-link rear suspension. Renault dealers will have to move walls, if they want to expose a new Alaskan in their lounges. The newest 2019 Renault Alaskan will be 5.4 meters long, the champion is in the segment. And as such is absolutely unadapted for everyday use in a densely settled urban environment. Nevertheless, the demand for this type of vehicle is constantly increasing. A classic example of modern absurdities that come out of fashionable motives or needs. The Alaskan model has an almost identical design as the 2015 conceptual version of the same name. The front is practically unchanged from the concept, while the shape of the exterior mirrors and latch is adapted to the serial production. 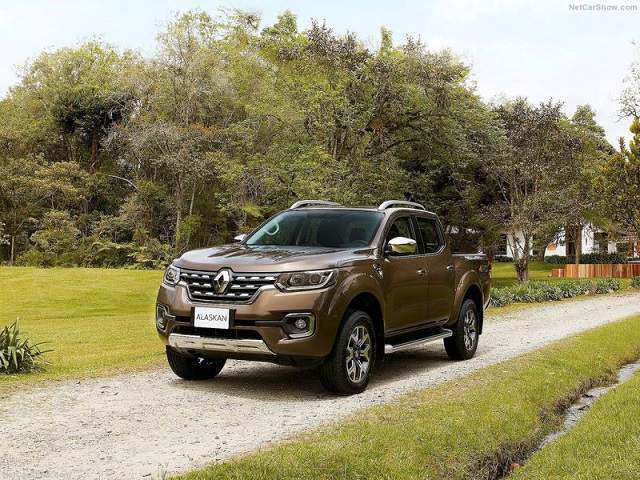 The latest 2019 Renault Alaskan and the Nissan NP300 Navara share the same platform. However, there are differences between these two vehicles if we pay attention to the look of the bumper, headlights, mask and hood. The new 2019 Alaskan is a real terrain, with a chassis, gearbox and differential lock. The offer will also be a version with a rear-wheel drive only, in case someone does not need an off-road feature. Customers will have at their disposal Double Cab and Single Cab versions, with longer or shorter cargo space. The interior is also taken from Nissan’s pickup, so it would not be wrong to say that Alaskan is basically Navara with the Renault badge. Alaskan’s features include, among others, a seamless multimedia touchscreen display, a 360-degree camera that captures the vehicle’s unlocking and start-up. The pickup also has a limited slip differential, then auxiliary lift assistance, downhill control system. And three driving modes (2WD, 4WD and 4WD for slow driving on demanding terrain). The seats in the cabin of the latest model are extremely comfortable and perfectly designed. They are covered with leather, heated and electrically fitted for the most expensive Intense. The desired position is easy to achieve, although the steering wheel only adjusts to height. The same applies to the rear bench, comfortable enough for 2-3 people, the average stance. The 2.3-liter bi-turbo dCi diesel engine will be available in two variants – from 160 and 190 hp, and, depending on the market, customers will also be available 2.5-liters gasoline with 160 hp and 2.5-liter diesel engines, also with 160 hp and 190 hp. The power is transferred to the wheels via a six-speed manual transmission or seven-speed automatic. And versions with front and 4×4 are available. All four-wheel drive models are equipped with an electronic differential with limited slipping and a rear differential lock for more demanding off-road conditions. 2019 Renault Alaskan – Release Date and How Much Will Cost? 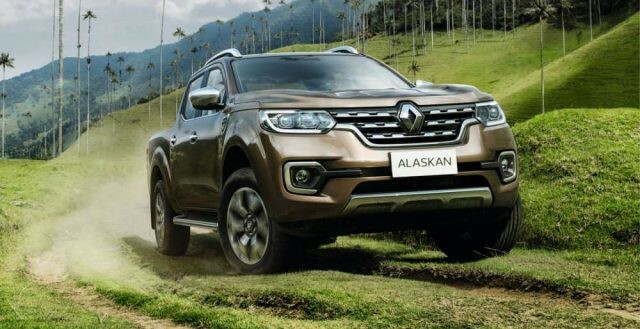 The Renault Alaskan 2019 will be presented to the audience at the end of the current year. The price of the model will be around $ 37,000.